This app has been developed with the complete beginner in Shotokan Karate in mind, taking them in detail right through to Black Belt (Shodan). Is has clear explanation through easy to follow – step by step explanation of the different stages from Basics – Kumite and Kata (forms) with explanation of bunkai (applications). 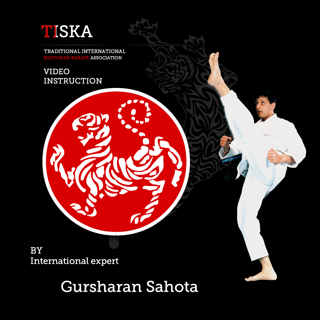 In martial art such as Karate, visual aids are becoming more relevant in guiding students through the different aspect of the art. Enhanced user experience with full screen video rotation feature. 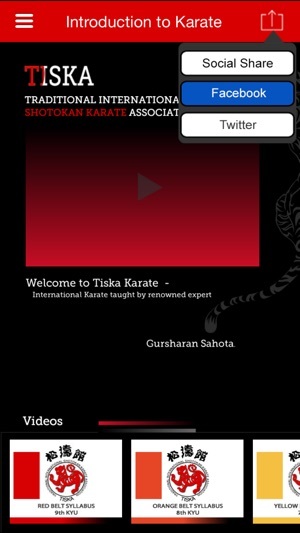 Whether you are new to karate or an experienced student seeking improvement, I am sure you will find his app useful. It consists of a complete set of videos showing you all the basics, kumite and kata you need to take you from a complete beginner through to black belt. The genius of this app lies in its simplicity. 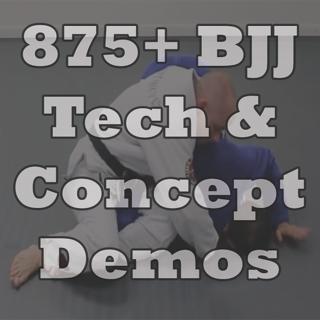 The videos are helpfully split up by grade so that you can easily click on the relevant belt colour to view all the techniques you need. The moves are shown slowly and then at full speed to aid understanding. The videos have been very professionally filmed and are clear and easy to learn from. If you are like me and want to practice at home, but forget half of what you learn as soon as you leave the dojo, you should definitely buy this app!! 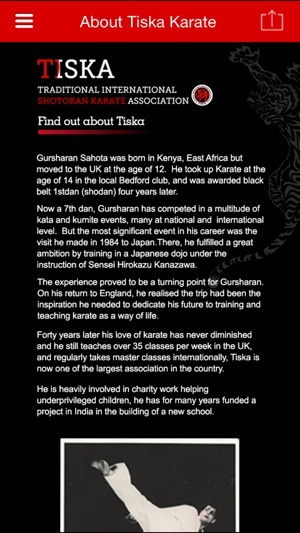 It's good, the syllabus coverage is excellent from the videos through to the Kumite and basics listings. However, the app is fine so long as you're online. Go offline and nothing works - no videos, no syllabus - nothing. Offline viewing is essential for this kind of material. Also, the videos can't be cast to TVs from the app, which you could previously do from the web. Given all this, I'm not entirely clear on how this is any better than previously having access to the videos online through Vimeo. Having a feedback button in the app would also avoid us having to write this up on the AppStore. It is a very good way to help practice everything a student needs to know for their grading. Also, it is easy to navigate around the app.